Herbs are a gift from nature. They are versatile and can be used as food and medicine and taken as supplements to boost your health. Many people want to know how to use herbs to dramatically improve all aspects of their health. 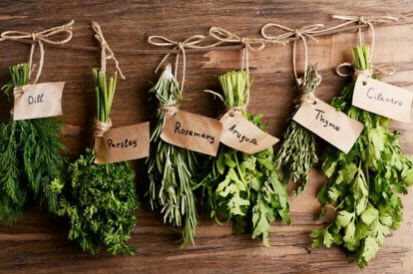 This online nutrition certificate course will give you all the powerful health benefits of using herbs and you will have more tools to add to your nutrition and health repertoire and experience. We make the petition process simple and smooth … not complicated at all … it’s really that EASY!!! So just call or email GMP Fitness at 888-467-3488 or email info@gmpfitness.com. We are more than happy to assist you. *Note: NESTA (National Exercise & Sports Trainers Association) accepts GMP Fitness courses for credits, however a CEU Petition Form will need to be filled out and there may be a small fee. *Note: The International Tennis Performance Association (ITPA)—ITPA members can earn continuing credits for their certifications through GMP Fitness.